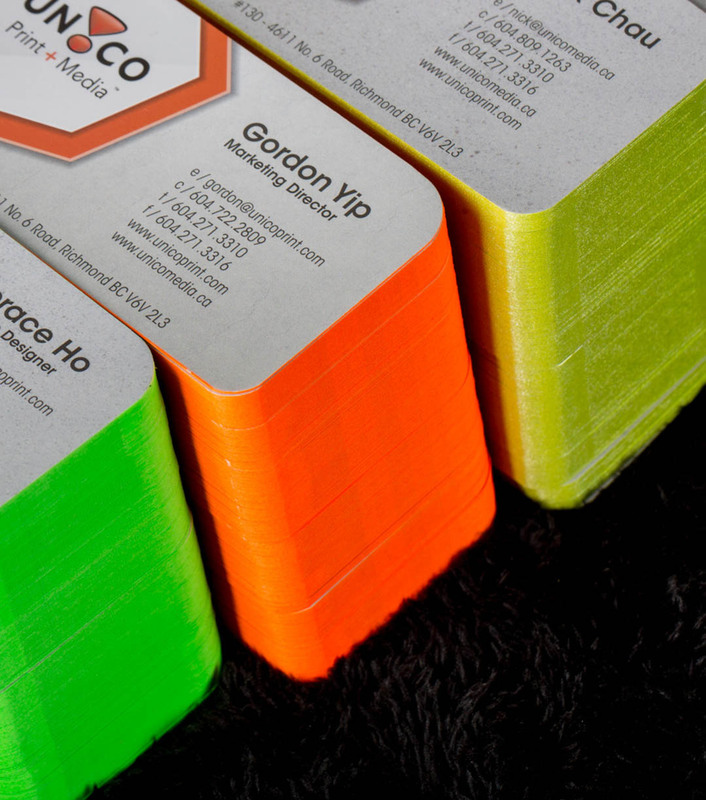 Color edges are the best additional feature to make your business cards stand out when they are printed on 14 pt paper or thicker stock. 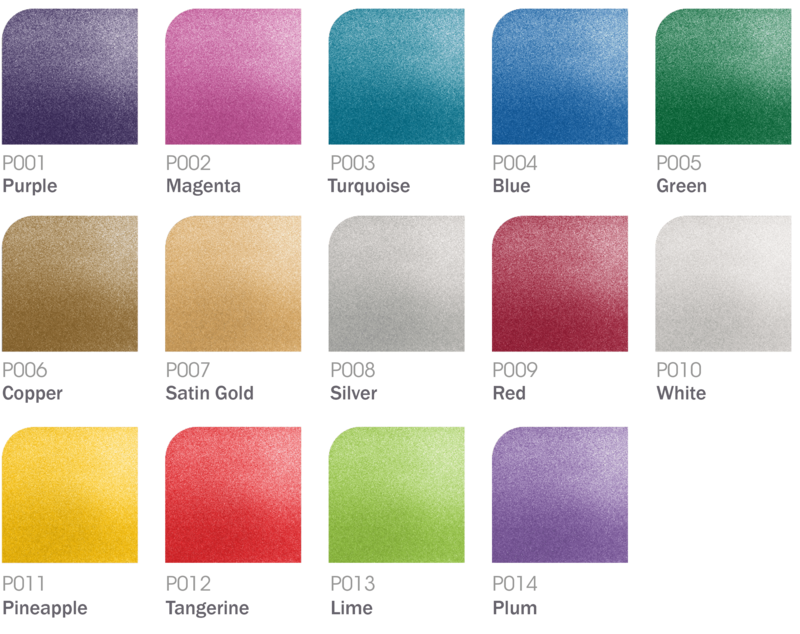 Choose from our selection of vibrant colors or painted metallic hues to give a finished eye-catching appeal to your brand! 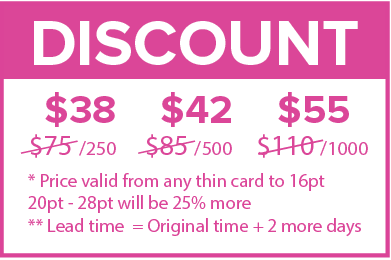 For those who want to print black business cards and are sick and tired of seeing the white edge, we can also print black edges! Can we choose any specific color we want? Yes, basically any color is possible. 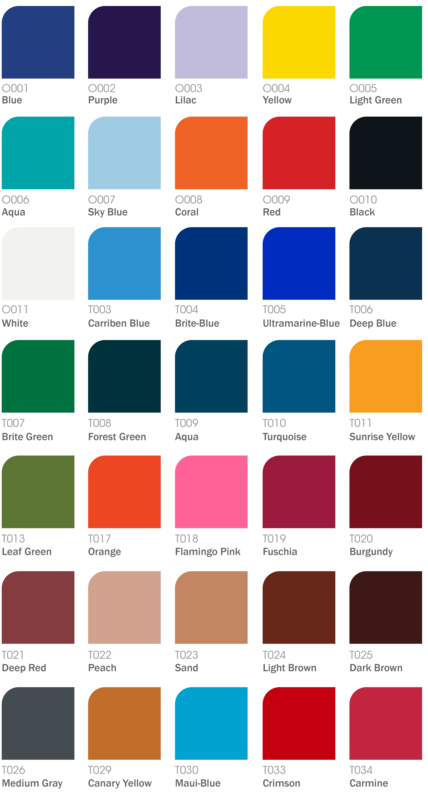 However, we suggest checking out our edge color library as the colors listed have been tested & applied in multiple occasions and will definitely bring out the best results in edge coloring. For other colors, please contact us and we will try to make the necessary arrangements. We would recommend sticking with solid colors for the best results. A solid edge is more apparent than a gradient edge, especially on such a small area. 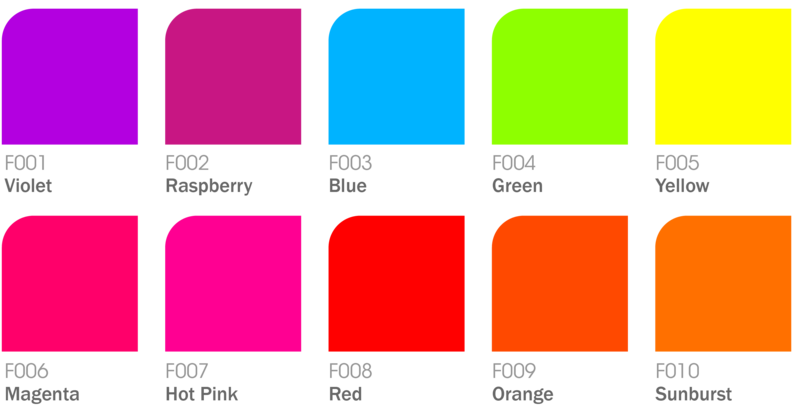 However, we are always open to meeting your requests so please feel free to contact us for special quotations regarding gradient color edges. Is there a minimum thickness for edge coloring? Although there is no specific minimum, we do recommend at least 14pt paper stock for visible results. The thicker the paper, the better the results. We also do edge coloring for letterheads, notepads etc. Why does it take so long for this option to be completed? The main reason is to let the coloring air dry. Drying time is dictated by the paper stock and the color used. Generally, edge coloring takes an extra 3 – 4 days to finish, on top of print time. Can this be applied to any paper finishing? Yes, for generally any lamination finish, as long as it is paper, edge coloring can be applied.